Every calico cat has its own colors that make them unique and special. I grew up having a calico cat and let me just say they are magical and beautiful felines! If you have a calico cat you might be surprised at some of these calico cat facts! Take a minute and learn a bit about your precious cat! The distinct tri-colors of a calico cat are hard to miss. I love looking at all the rich browns, orange tones, black, and other colors that create a perfect calico. Calico cats are not only gorgeous to look at but they have some unique and intriguing facts about them! 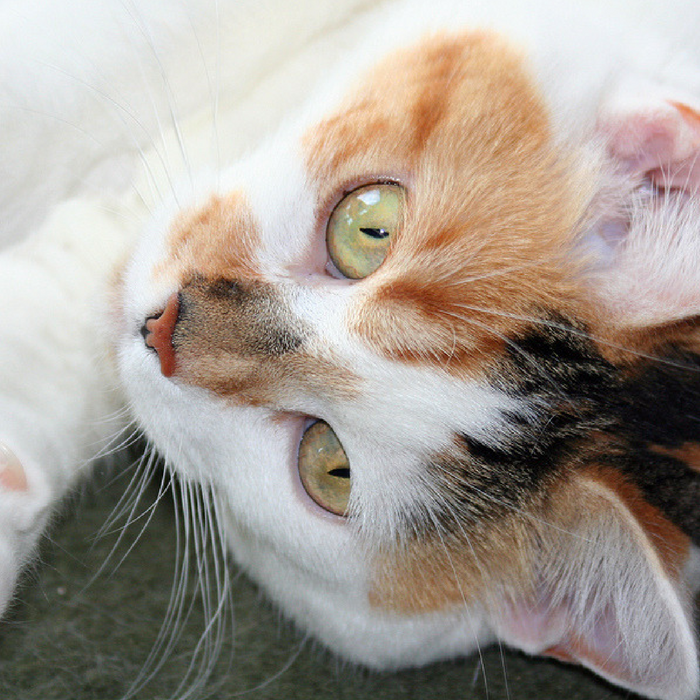 Did you know that calico is the term for the multi-color coat on a cat, not a breed? You can find a variety of breeds that have that signature calico coloring! Most calicos are females, because of the X chromosome. Because females have two X-chromosomes, they can have the calico coloration easier. You might have one male in a batch of 3,000 kittens that have the calico print. So if you have a male calico, consider yourself lucky. You can’t breed for the calico coats, it is impossible. It is all about the chromosomes from the mom and dad. So each time you see a calico it is unique and wonderful! Calico Cats are the official cat of Maryland! An Irish folklore says that calico cats can cure warts. Simply rub the tail of a calico during the month of May, and your wart will go away. Poor kitty! One of the more well-known calico cat facts says that calico cats are good luck. If you come across a male calico, they are even luckier! The distinct orange spot on the calico crab is reminiscent of the calico pattern. Calico cats are reported by their owners to be relaxed, laid-back and very cuddly. The average lifespan of a healthy calico that eats nutritious food, is around 12-16 years. 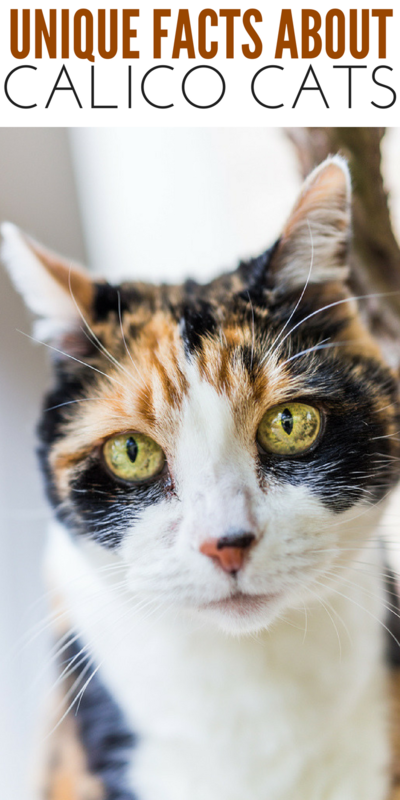 Tell us your favorite from these calico cat facts in the comments! I love my calico kitty, Lucy. So named because her orange patch gave her Lucille Ball’s hilarious sense of humor. I didn’t realize she was a calico at first, but soon learned that she was but her brothers weren’t. She has a strange habit of being a picky eater, none of my previous cats have been very picky.